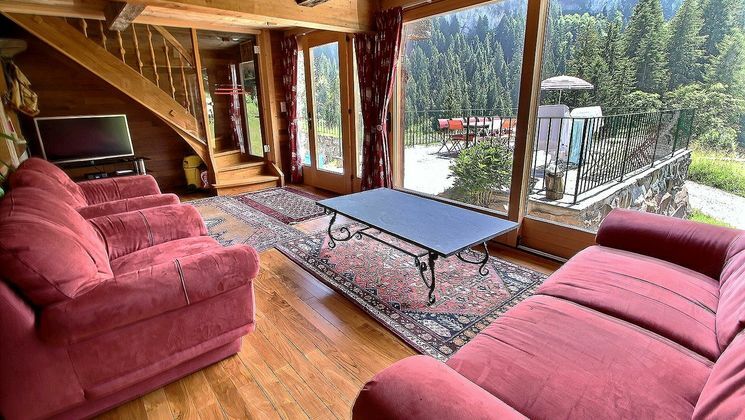 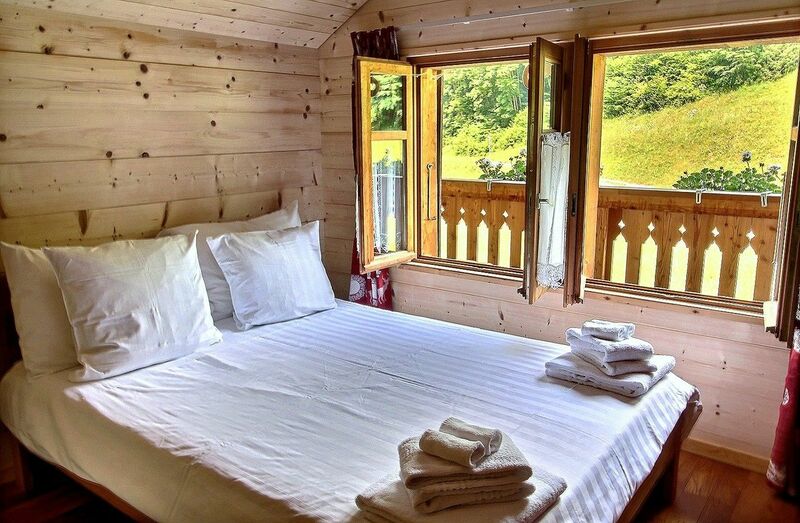 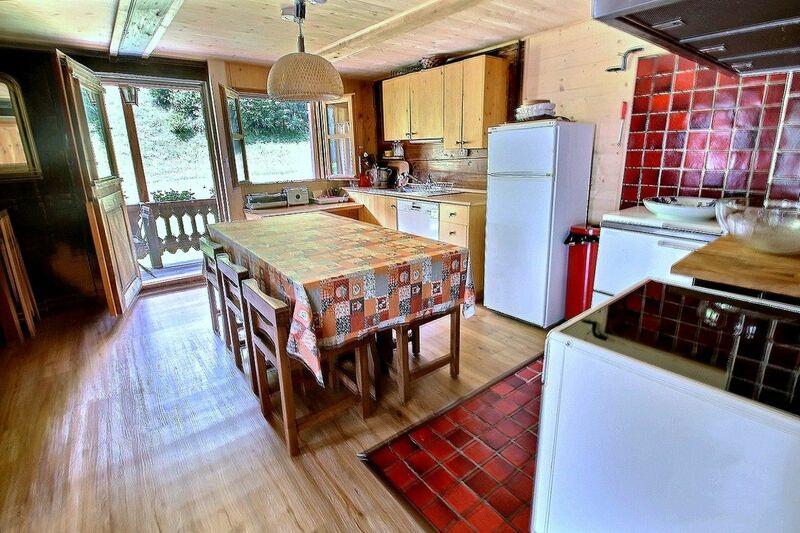 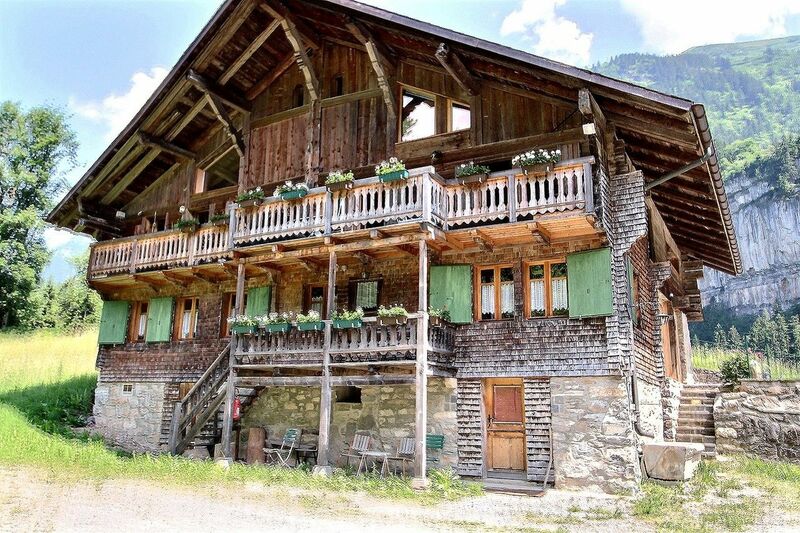 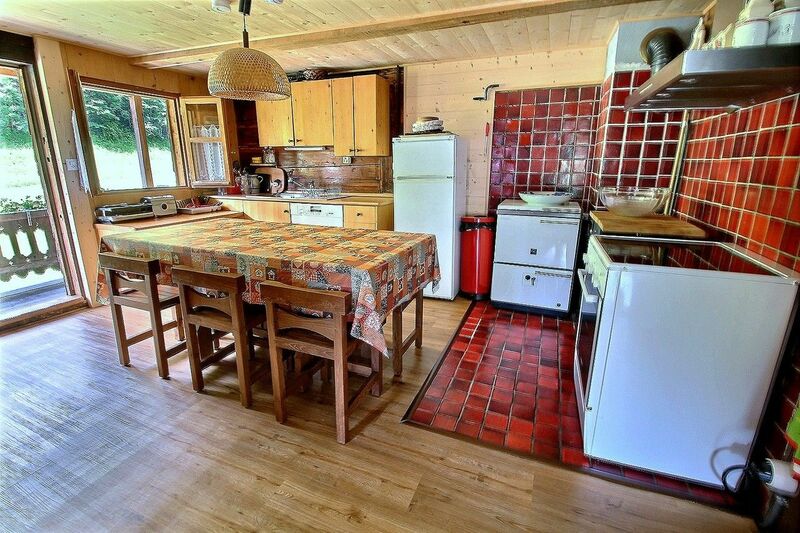 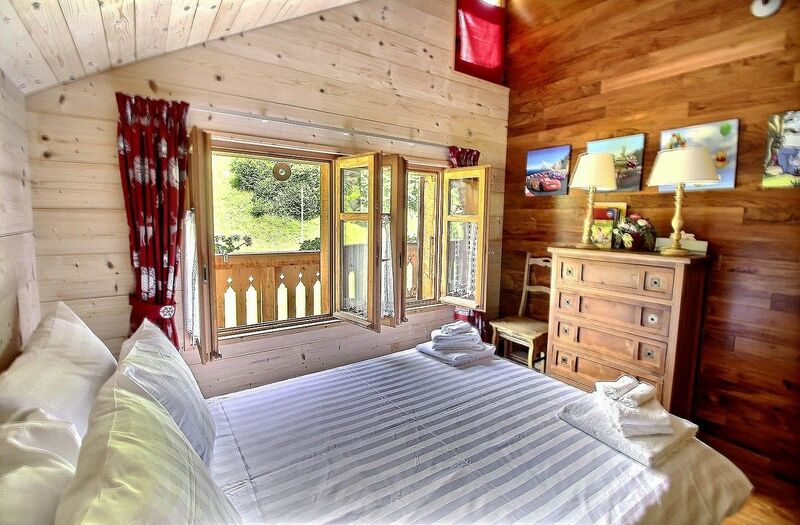 Champéry - Avanthay Immobilier - Typical old chalet of 130m2, located near the forest in a beautiful place, very close to the village of Champéry. 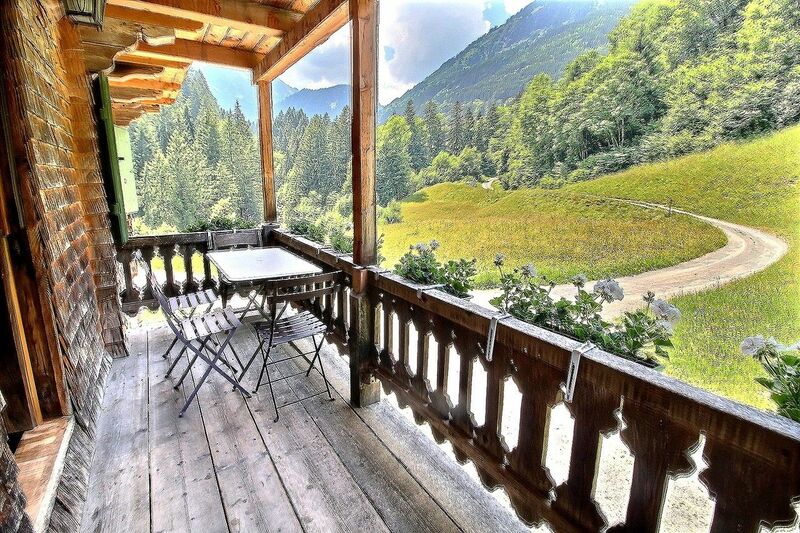 Beautiful mountain views. 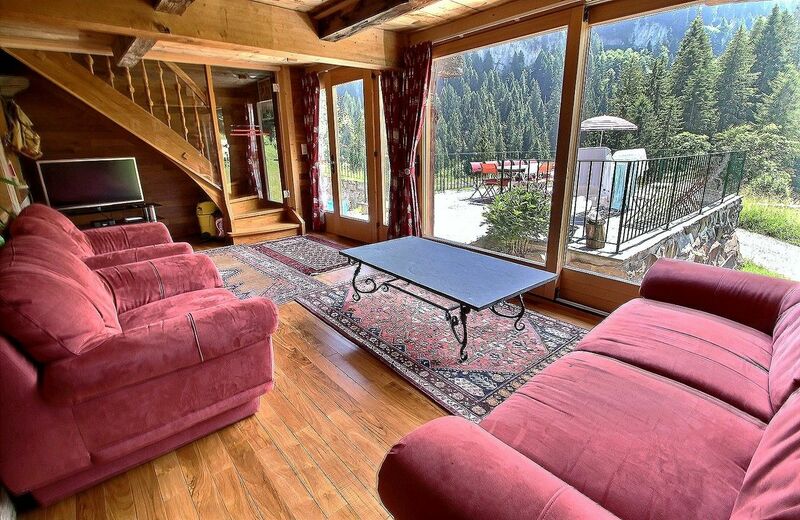 Ground floor: Loggia: sofa, TV, direct access to the terrace, great view - Living room with stone-soapstone, Separated kitchen and equipped with : 4 hotplates, dishwasher, oven, fridge, microwave, coffee machine - Bedroom 1: 1 double bed - Bedroom 2 : 1 double bed - Bedroom 3 : 2 single beds - Bedroom 4 : 1 double bed, 2 single beds and bathroom with shower / WC 1 bathroom with bathtub and toilet.